Yes, it’s that time of year again—time to file your tax return. If all you need to do is fill in a few blanks, it may not make sense to use the professional services provided by accountants or tax attorneys. But, with more complex situations, the services of accountants—and, sometimes, also tax attorneys—can be invaluable. In addition, although ignorance of federal tax laws has been used as a valid excuse in court, it still makes for a pretty messy situation. You can typically rely upon certified public accountants when you need to discuss what deductions you qualify for, what tax forms need to be filled out, and what tax code changes might apply to your situation. If your particular situation becomes more complex, though, a lawyer may be needed. Tax law is a niche form of law, and tax attorneys specialize in keeping up with ever-changing tax laws and codes. They can provide tax planning services to help clients reduce their tax burdens, and also help with structuring businesses, advising clients on tax- and estate-related planning, and representing them before the IRS. In this post, we’ll share four instances when it can make sense to consult with a tax attorney, along with a way to have affordable access to a tax hotline. #1 Your tax situation has become more complicated. Perhaps you’ve inherited a bit of money or a piece of land located outside the United States. Or maybe you’ve gotten divorced or adopted a child. In some cases, an accountant may still be able to guide you through what you need to know to properly file your taxes, but accountants aren’t attorneys (at least, not usually), and more complex situations sometimes need a legal perspective on how to proceed. Although it can be tempting to try to figure this out without legal assistance, this can also cause an already-complex situation to become even more complicated. Handling your tax situation correctly, right from the start, protects you and can ultimately save you from the stress and potential penalties that may arise when you discover that you didn’t file correctly and/or pay what you owed. #2 You or your spouse have started a business. Perhaps your spouse has become self-employed. This by itself can significantly change how you file your taxes, and a tax attorney can guide you through how to set up the business (a Limited Liability Corporation, perhaps, or an S- or C-Corporation). 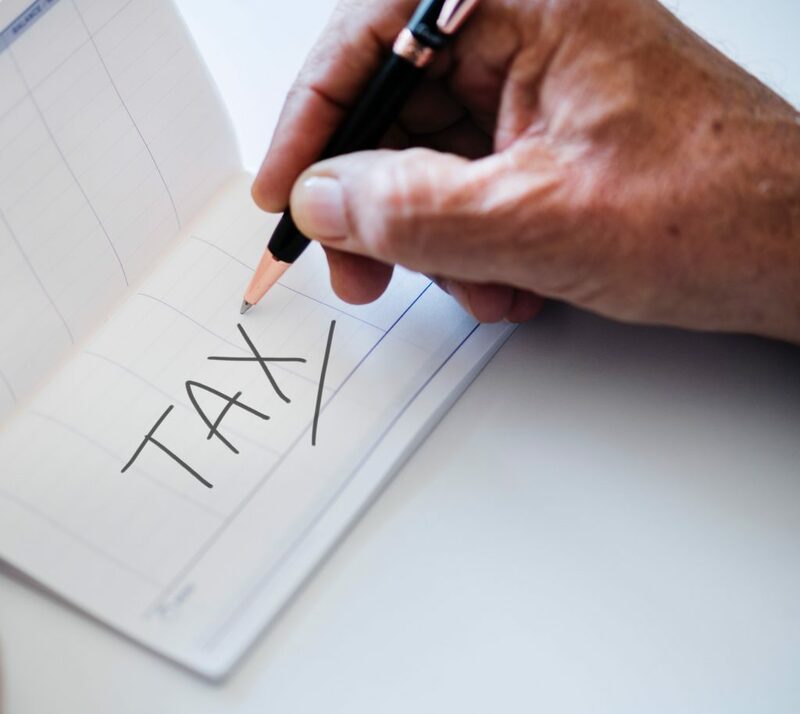 Reasons why certain choices make sense under certain circumstances can get complex, and so the guidance of an experienced tax attorney can be invaluable. If your spouse is buying an already-existing business, a tax attorney can recommend ways that he or she can manage depreciation, recoup the purchase price more quickly, and more. Strategically setting everything up from the start, according to relevant tax laws, can reduce your tax burden, keep you out of legal trouble, and help you to avoid paying penalties and interest. #3 You owe back taxes. If you’re behind in tax payments, whether it’s federal, state, or local, it’s important to catch up as soon as possible. With federal taxes, the IRS offers qualified individuals monthly installment plans to allow them to catch up. If your particular issue is minor, you may be able to handle the situation yourself, especially if you can catch up in fewer than 120 days through an automatic withdrawal plan. If the amount is large, or if you’ll need more than 120 days to catch up—or if you want confirmation that you’re doing exactly what you’re supposed to do—then a tax attorney can help you to come up with a formal agreement that will work for you. In fact, attorneys experienced in this area can often work out a deal where you pay less in back taxes, penalties, and interest. When you need to work out a compromise with the IRS, it’s important that you get help from a qualified, experienced professional. Around tax time, you may see ads where people invite you to call them for help; they then want to charge you large sums of money to make payment arrangements that never materialize. Don’t allow yourself to get sucked into a scam. Only work with a qualified tax attorney. You’ll also need to make arrangements to catch up on any past due state taxes, with each state having its own procedures, as well as your local taxes. Again, a tax attorney can help. When you hear that you’re being audited by the IRS, that can be a pretty scary feeling, especially if you weren’t 100% confident in how you filed your tax return and paid your taxes. Although an audit doesn’t mean you’ve done something wrong (it actually means that the IRS has chosen to formally review your tax records), this is a good time to work with a qualified accountant. And, if you want to appeal the audit or if you need to go to court as part of the process, it’s important to have an experienced tax attorney at your side. Here’s another crucial point: The IRS recognizes that people make mistakes when filing because they don’t understand complex tax laws. But, if the IRS ever states that you’ve filed false documentation or are participating in tax evasion, it’s crucial to get legal help as soon as possible. Penalties for tax fraud can be severe, potentially including both fines and jail time. And, if your case ends up going to court, what you tell your attorney can be kept confidential through the concept of attorney-client privilege. That isn’t a privilege that other professionals can claim in order to keep your conversations private. Meanwhile, some tax attorneys charge client fees based upon the specific services needed, the severity of the situation needing resolution, and how the case is resolved. One financial professional notes that, “If a client asks for help at the last minute and the case requires a lot of work in a very short period of time or if the case is particularly complex, the rates will usually be higher.” Fixed fees, that professional notes, start at a few thousand dollars and increase from there. Although each situation is different, here is one thing that many of them have in common: Having the right guidance when filing your tax returns in the first place can go a long way in preventing future problems. And, that’s where U.S. Legal Services can help. As part of the plan we’re now going to describe, we provide a tax hotline where members can either get their tax returns done, fully paid, or receive a 25% discount. Each option includes a one-year lookback for informational purposes. When legal issues arise for you or your family, it’s important to have affordable access to an attorney who can help—and U.S. Legal Services has been providing that service for more than 40 years. This isn’t a branch of our business. This IS our business. We offer the most comprehensive group legal services in the industry today, giving employees access to the legal help they need, right where they live and work. This includes the services provided through our tax hotline. Employers: To talk about how a group legal plan can help your employees and strengthen your workplace, please call us at 1-800-356-LAWS or contact us online. The process for setting up the plan, and then enrolling employees and administering this voluntary benefits plan is fast. It’s streamlined. It’s simple. No matter how many employees your company has, these group legal plans are available at no cost to the company. Here are more specifics about our Family Defender™ plan. If this sounds like it would benefit your employees, contact us to request a quote. Once the plan is set up, your employees can use our online enrollment page to sign up; and then, when an employee needs access to an attorney, they can choose among carefully vetted ones who will provide the protection they deserve. You can also consider a special plan enhancement, Identity Defender™, to give your employees access to valuable assistance with identity theft and fraud matters. We offer these plans to companies in a wide range of industries, each time at no cost to the employer. If you’re ready to get started, call us at 1-800-356-LAWS or contact us online.